CITI Field, located in Flushing Meadows-Corona Park in Queens, has been the NY Mets home field since its opening in 2009. It was built adjacent to the old Shea Stadium which had been the Mets home since 1964. THE CITI is acronyms for CiTiGroup, a financial establishment located in New York, who bought the naming rights for $400 million dollars. CITI Field is a combination of many historical teams & facilities, and influence of modern new stadiums built in this era. The park seats 41,800 which is 15,000 fewer seats than Shea Stadium, and the seats are all painted Green in remembrance of the Polo Grounds, which was the Mets original home, while the facade is similar to Ebbets Field. 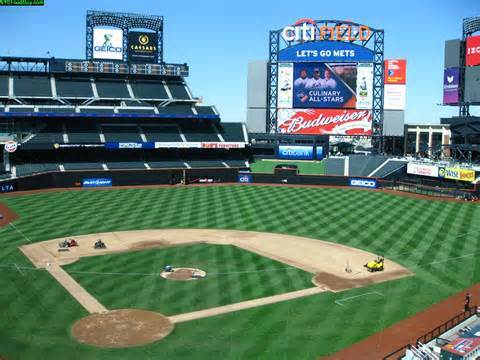 The Playing field is similar to the spacious Shea Stadium, which makes it more of a pitchers’ ball park, the wall heights of the two stadiums differ drastically, as Shea’s wall height was a uniform 8’ high, the CITI walls vary in height from 16’ in Left field to 18’ in Right Field. Courage - Excellence - Persistence - Justice - Teamwork - Commitment - Citizenship - Determination - and Integrity. CITI Park maintained the “Home Run Apple” tradition which originated at Shea, but the CITI apple is four times the size of the Shea Apple. Additionally, Shea stadium was the only MLB park with Orange colored foul poles instead of yellow and CITI incorporated the orange foul poles. The Hall of Fame museum is located directly adjacent to the Jackie Robinson Rotunda on the first base side of the field, opening on April 5, 2010. The museum includes plaques honoring famous Mets players, the 1969 & 1986 World Series trophies, hand written notes from Casey Stengel, the Mets first manager and copies of original scouting reports on players such as Darrell Strawberry. 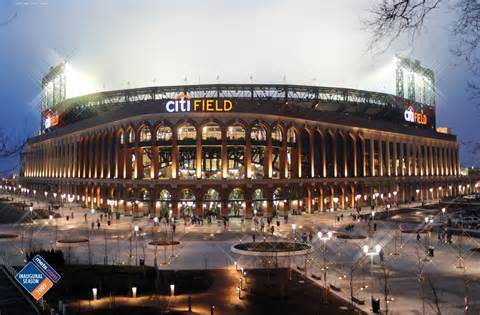 It wouldn’t be New York without some sort of controversy and the naming rights to the stadium became very controversial in 2008 - 2009 when the economy crashed and CITIGroup was bailed out of bankruptcy by the taxpayer. 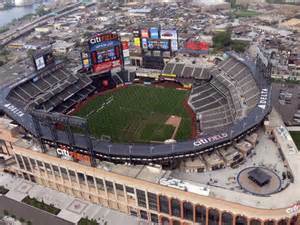 Two NY councilmen suggested the park be renamed “CITIGroup/Taxpayer Field” and influential congress persons demanded the Secretary of the Treasury either force CITIGroup to give up the naming rights or the dollar amount of naming rights be retrieved from the bail-out package. Neither occurred.